Apple is offering to replace the batteries of a “small number” of iPhone 6S phones with a fault that makes them unexpectedly shut down. 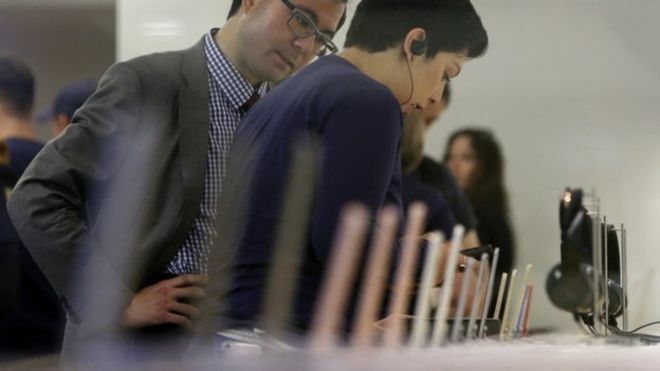 In its announcement, Apple urged customers who believe they have a faulty phone to contact an Apple store, an authorised repair shop or the firm’s support line to start the process of getting a new battery. A “limited serial number range” was affected, it said. Phone owners should back up data and then wipe it all off the handset before surrendering it for the replacement, it added. Phones with cracked screens might have to be repaired before Apple would go ahead with swapping the battery, it said. The AppleInsider website suggested that the fault with the iPhone 6S could be traced to people charging their handset with generic chargers rather than Apple’s own-brand ones. Using one of these third-party chargers damaged circuitry which meant the amount of charge in the battery was not being reported correctly to the phone’s operating system. Apple has not confirmed if this is the cause. Gadget sites traced the cause to chips used to drive the touchscreen that came loose after an impact.